This week, we’re making Sweet & Spicy Apple Butter! I like to think of apple butter (which does not actually contain butter) as an apple jam. Much more intense than applesauce and smoother than chutney, my version of apple butter tastes of fall spices and concentrated essence of apple, brightened up with a bit of lemon and rounded out with brown sugar’s molasses notes. At the very end, a slight burn warms the back of your throat, courtesy of the cayenne pepper. 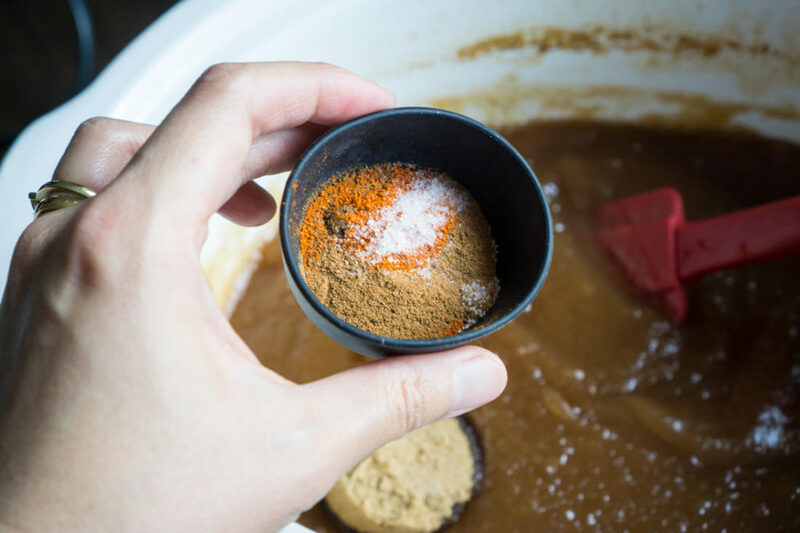 This recipe for apple butter came about because even though I like to cook, I am profoundly lazy when it comes to eating fresh, wholesome foods. If you were to give me a box of Cheez-Its and an orange, I would eat the Cheez-Its 95% of the time. Even though it takes minimally more work to wash and cut the orange than it does to open the cardboard box of cheese crackers, my general slothfulness and inertia means that the orange will be well on its way to becoming penicillin before I decide to tear my attention away from packaged foods. However, I do occasionally like to pretend to be a healthy eater. I enjoy visiting the farmers’ market and buying strawberries–and eating half a cup before I shove them to the back of the refrigerator. 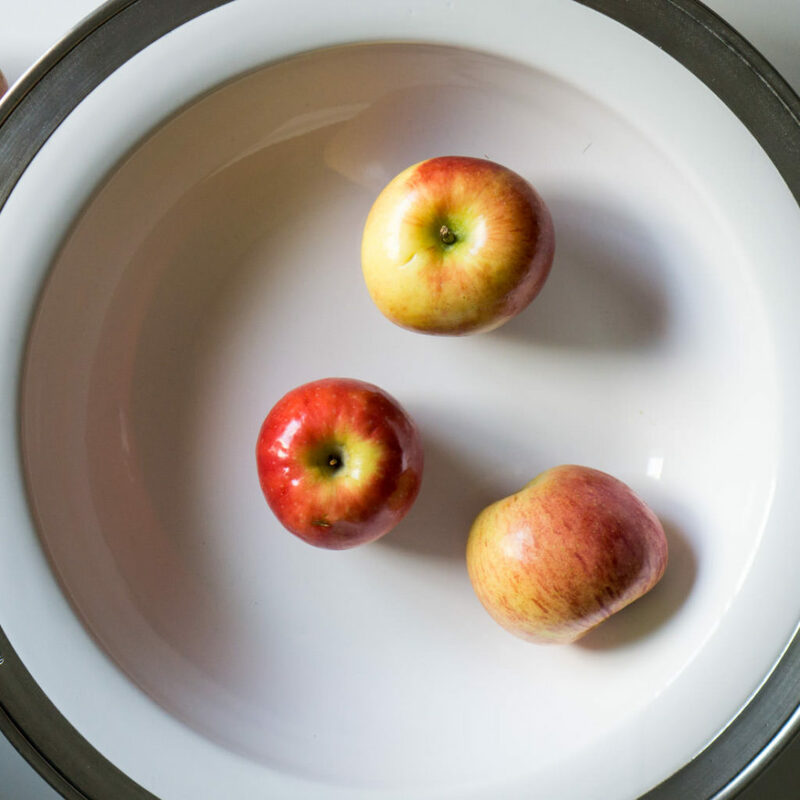 My freezer is filled with overripe bananas that I’m “saving for smoothies.” Alas, apples are one of the fruits I buy that suffer the most–they die a slow death on my counter, turning mealy and shriveled over the course of weeks. I admit that apples deserve a better life than the one I give them. The other day, I was ashamed to discover not one, not two, but four or five large, sad apples that had suffered this fate due to my negligence. As I was mulling over whether to toss them away (“I can just cut off the soft spots, right?”), I began to wonder if there were recipes out there that could rescue apples from the brink, before they started actually growing mold. 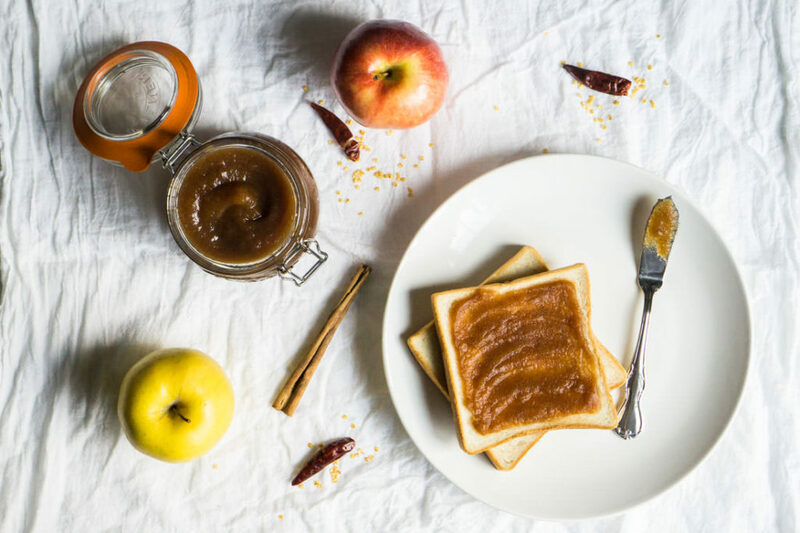 Much to my delight, I discovered that I had many options, including apple smoothies and apple muffins, but none intrigued me as much as the idea of apple butter. You’ll have to peel, core, and chop up a few apples. If you have a food processor, that should make short work of the chopping business. Add lemon juice (just a smidge–save the rest for after you taste the cooked apple butter), a ton of cinnamon, some ginger, cloves, vanilla, and salt. Oh, and a dash of cayenne! You’ll love the little burst of heat, I promise. 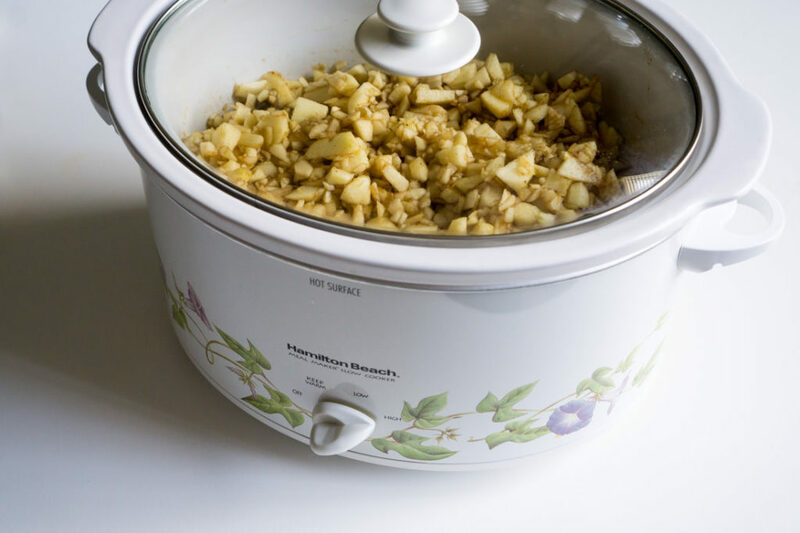 The beauty of this recipe is that you can just dump the chopped apples in the slow cooker and stir in all the spices. No extra bowls to get dirty. After the apple mixture has cooked over high heat for about 4 hours (stir it once about 2 hours in), blend it with an immersion blender. Now is the time to taste the apple butter and tweak your seasonings. This batch was a little tart for me, so I added about 1/2 cup more sugar. Start with a little bit and work your way up, as needed. I also added more cinnamon, ginger, cloves, salt, vanilla extract, and cayenne. I like my apple butter really intensely flavored. After adding the extra spices/flavoring, cover the slow cooker and cook on the low setting for about 1/2 hour to 1 hour longer. 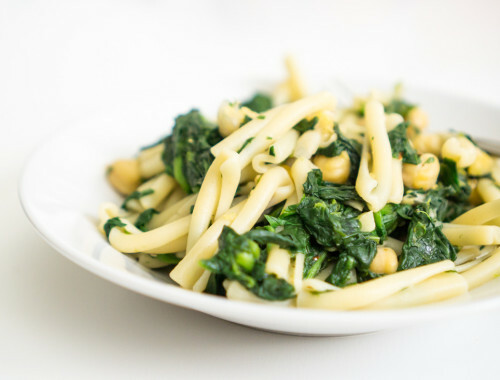 At this point, you can bottle it, eat it straight out of the slow cooker…whatever your pretty little heart desires. Although I’m not really a jam-and-toast kind of person, my husband is, and apple butter works perfectly in the role of jam. And once I made my first jar of apple butter, I started thinking about using it in all sorts of applications. Apple butter layered with bananas, almond butter, and oatmeal in a mason jar for a hearty, delicious on-the-go breakfast that will give you energy for most of the day? Yes! Apple butter dressing up a grilled pork chop? Yes!! Apple butter and cheddar cheese sandwiches on Hokkaido milk bread? YES! 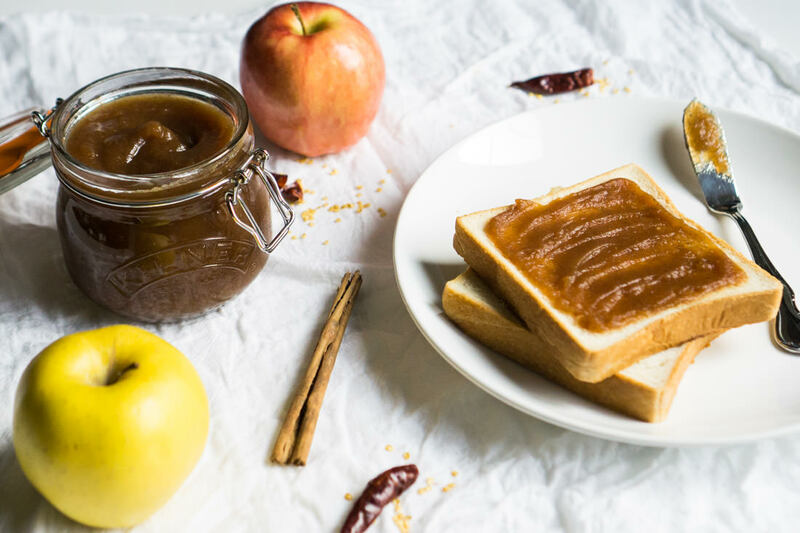 So if you’re like me, and you have months’-old apples dying a slow death in the back of your crisper drawer, don’t fret–cut off the bruised spots and make yourself some Sweet & Spicy Apple Butter. I can’t think of a better way to honor the apple at the end of its edible life. Peel, core, and cut the apples into large chunks. 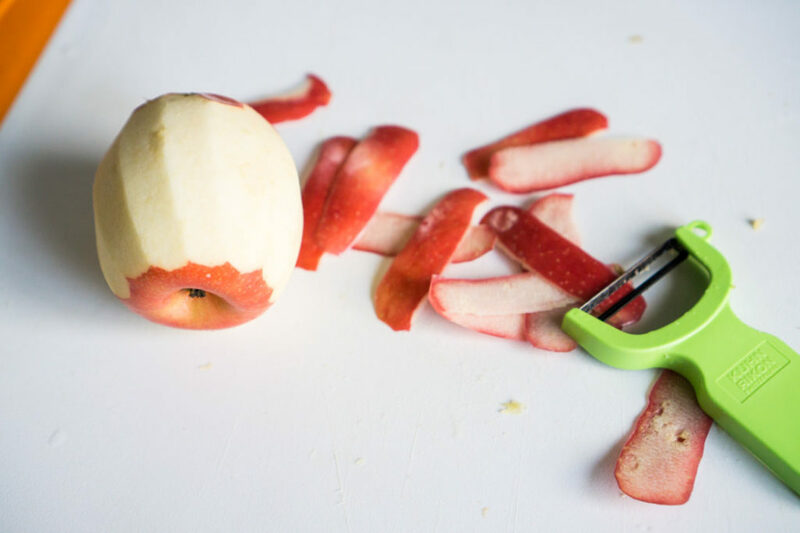 Finely chop the apples in a food processor or by hand. Place chopped apples in a 5-6 qt. slow cooker. Add 1 cup light brown sugar, salt, 1 tsp. lemon juice, 1.5 tsp. cinnamon, 1/2 tsp. ginger, 1/8 tsp. cloves, and a pinch of cayenne pepper. 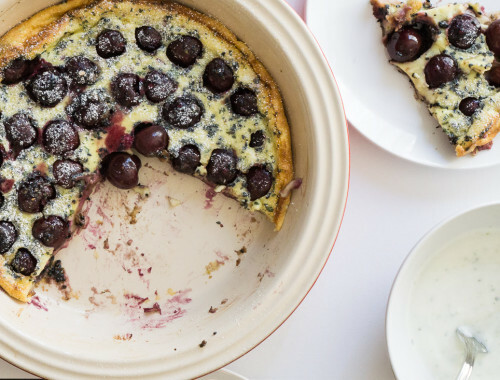 Stir well with a wooden spoon or spatula. Cover the slow cooker and cook on high setting for 4 hours, stirring after 2 hours. After 4 hours, open the slow cooker and use an immersion blender to puree the apples. Feel free to leave them a little chunky, based on your preference. 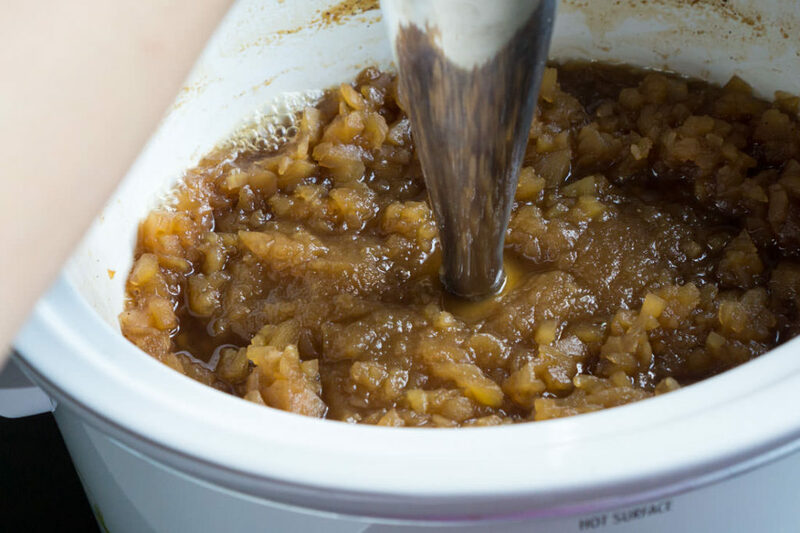 If you don't have an immersion blender, use a regular blender, but let the apple butter cool off first so you don't burn yourself when transferring the mixture to the blender. 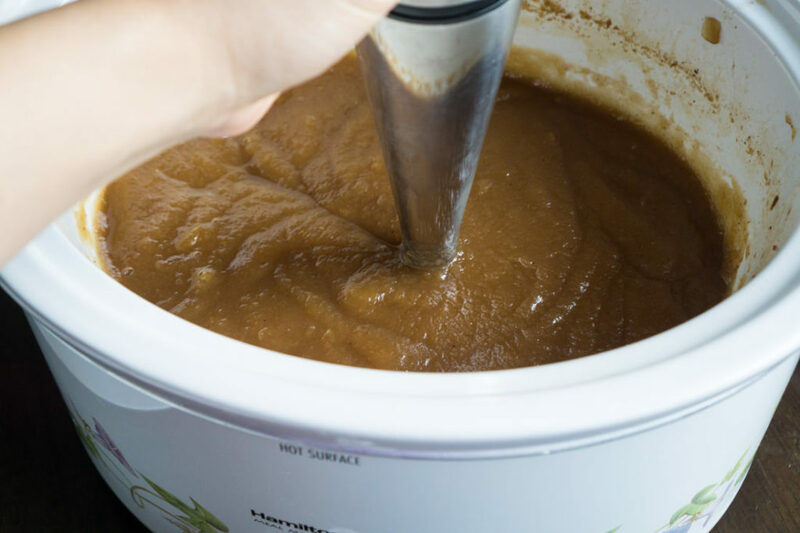 After pureeing the apple butter, return it to the slow cooker. Add 1 tsp. of vanilla extract and stir. Taste the butter and see if the flavor is to your liking. 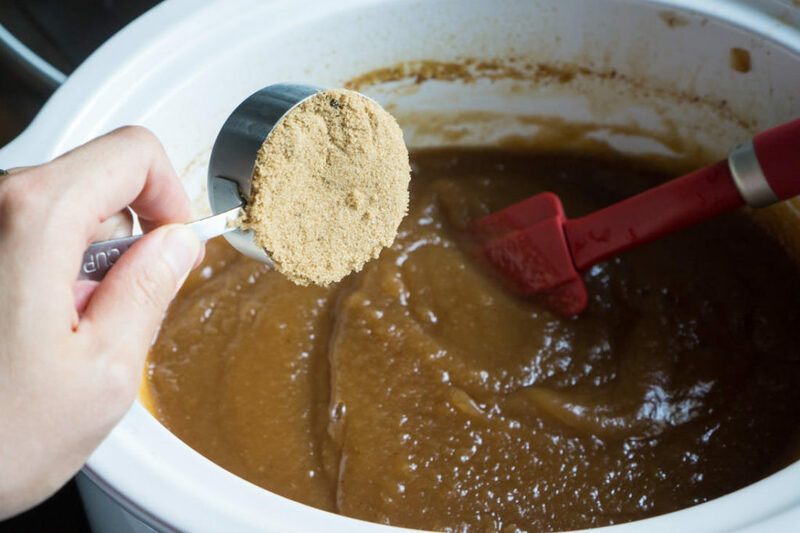 The best way to taste the apple butter is by removing a small spoonful of apple butter and letting it cool for about 10 minutes before tasting it because the flavor will change once it cools. 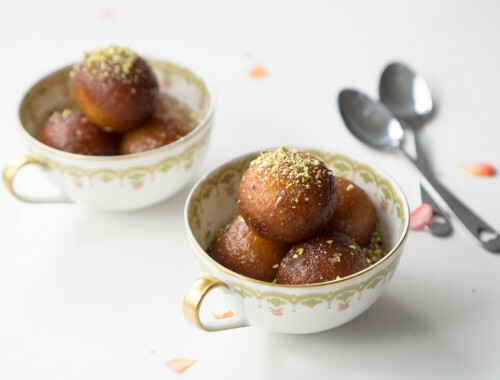 If the mixture is too tart, add up to 1/2 cup more light brown sugar and an additional 1/2 tsp. vanilla extract. If too sweet and bland, add a pinch more salt and up to 2 tsp. lemon juice to taste. 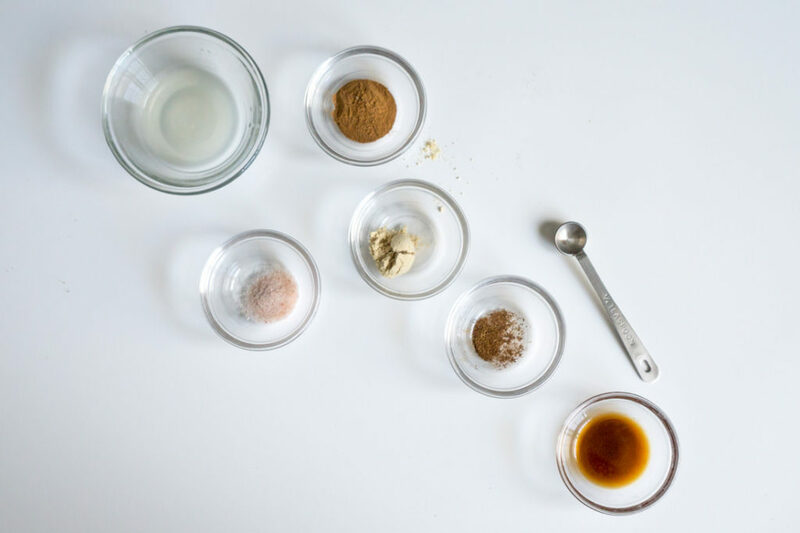 If you want a stronger spice flavor, add up to 1 tsp. more cinnamon, up to 1 tsp. more ginger, and another pinch of cloves. And if you'd like a spicier flavor, add a few more dashes of cayenne pepper to taste. Once you've adjusted the seasonings, cover the slow cooker and turn it to the "low" setting for another 1/2 hour to 1 hour. After the apple butter is finished cooking, spoon into jars and let cool. Apple butter will keep for about a week in the refrigerator.